Are you a standard swimmer? Do you visit the same Chlorine Free Pools in Texas? Please check that all of the details for your aquatic center are right and contact us in case you get any mistake. If you are visiting Texas make sure you know the rules and regulation for swimming as they may not be precisely the same as in your property town. The best pools to swim are definitely indoor olympic pools. Swimia.com needs your feedback to ensure all of the data is valid, given that maybe this pool is no longer open to the public. Please check the nearest Swimming Pools or Contact us to ADD IT. It is totally free! 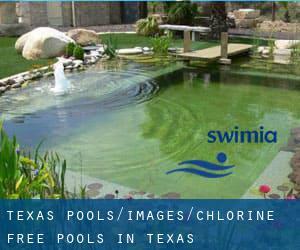 Thanks to some new Chlorine Free Pools in Texas submitted each day, Swimia.com is growing day-to-day the number of stored pools. Please don't hesitate to contact us if you ever find any inaccurate or incomplete knowledge. Let us tell you a secret to switch off while you're in Fort Worth: just select a Swimming Pool in Fort Worth and plunge into the water! There's no alot more effective strategy. Without a shadow of a doubt, swimming in Dallas will be the best strategy to unwind after work. Take a couple of minutes to browse Swimia's catalog to find a Swimming Pool in Dallas. Swimming is really a exceptional thought to keep your body active during your visit to Houston (Texas), or even if you are a local. Swimia helps you to find your closest Pool in Houston. It's difficult to visit Texas without dropping by El Paso (with 649.121 residents). Presently Swimia is showing you all of the Swimming Pool in El Paso along with the closest pools located in its vicinity. 1230-B S. High St. , Longview , TX , USA (Postal Code: 75602). Among all the activities offered by the center, if you are enthusiastic about swimming you can expect to enjoy 25 meters, Salt Water, Non-Chlorine Sanitized, Indoors. Just in case you would like to get in touch with this Swimming Pool before dropping by, we only know the phone number. 10616 Research Blvd. , Austin , TX , USA (Postal Code: 78759). Swimmers like you reported 25 meters, 5 lanes, Non-Chlorine Sanitized, Indoors. Unfortunately we do not have the email address of this Swimming Pool, but we can give you the phone number.